In the past two years, Tips for Parkinson's: DC has raised over $100,000 for Parkinson's research. Join us as once again to tip it forward towards a Parkinson's cure! Event entry includes drinks poured by competing bartending teams and unlimited, delicious food from the Provision 14 kitchen. Throughout the night, each bartending team will be debuting a custom cocktail during their shift, so be sure to bring cash to taste AND tip your favorites! 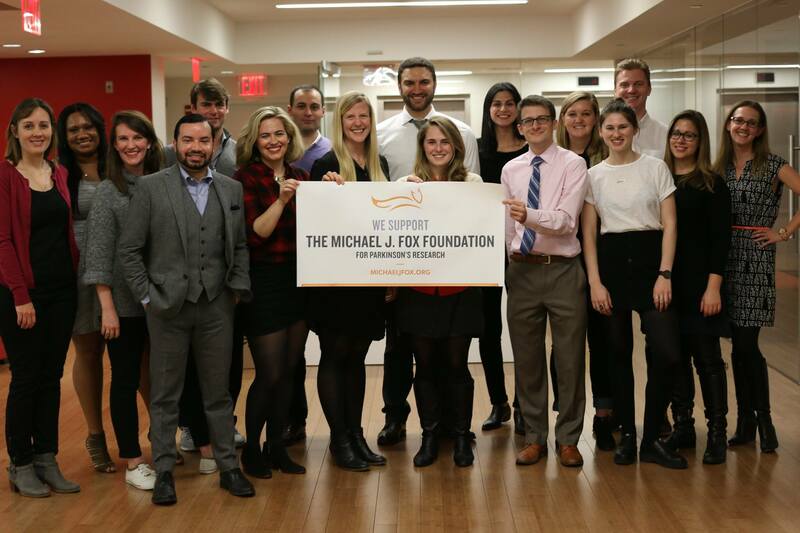 The Team Fox Young Professionals of DC (YPDC) is a group of proactive 20- and 30- somethings who dedicate their time and talent towards raising funds and awareness for Parkinson's research. While a personal connection to Parkinson’s inspired many YPs to join in, our community has since grown to include hundreds of other young professionals from the DC-metro area who are inspired to join our movement. YPDC's three goals are to raise awareness, broaden the YPDC community, and raise funds for The Michael J. Fox Foundation. Our unique events range from brunches and happy hours to exercise classes and concerts -- we can't wait to add Tips for Parkinson's DC to our roster! Our connection to The Michael J. 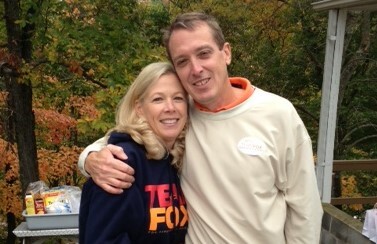 Fox Foundation began in 2001, when Gail’s dear Mom was diagnosed with Parkinson’s. As a loved one of someone with Parkinson’s disease, there is often a feeling of helplessness in witnessing the daily challenges of PD. Joining up with Team Fox gave us a way to do something. It also gave us a new family ~ our Team Fox family, an inspirational group of people who are near and dear to us ~ all fighting for the same cause! Most importantly, it gave us HOPE! We continue to fight the good fight ~ in memory of Gail’s Mom, who passed in 2004 ~ and in honor of our Team Fox family ~ by hosting our annual Mrs. Mo Memorial Golf Tournament, through which we have raised just over $140,000 to help speed a cure. We are deeply honored and excited to be joining up with this dynamic group to host our third TIPS FOR PARKINSON’S DC event ~ continuing our fight for a cure! I was diagnosed with Parkinson's at age 48; roughly ten years earlier in life than my father was upon receiving his diagnosis. Those first few years, my involvement in the Parkinson's community was minimal as I simply followed my neurologist's daily doses for medication and exercise. In 2014, however, that all changed. For his Bar Mitzvah project, my youngest son Max held a footgolf tournament and fundraised over $4,500 for Team Fox in my honor. As we got more connected with the Team Fox community, Max and I both became inspired to do more. Max is now planning his 4th Annual Kicking Parkinson's footgolf tournament, and I actively participated in five different Team Fox events and volunteered in four clinical trials to help accelerate research. I am very excited to be part of the team to Tips for Parkinson's to DC, with optimism and knowledge that MJFF will find a cure for Parkinson's disease, if not in my lifetime, certainly in Max's. After Kathy's Parkinson's diagnosis in 2011, her husband Joe quickly took on the role of sidekick more so than caregiver as we, together, adjusted to life with PD. We began actively fundraising with Team Fox-- annually hosting a Bags and Baskets Bingo night-- and for, the last three years, one member of our extended Shea family has also run the NYC Marathon with Team Fox. Collectively, Team SheaKin for a Cure has raised over $130,000 for Parkinson's research. While Parkinson's has no doubt brought its challenges over the years, through Team Fox, it has also brought friendships and support in unforeseeable ways. We are thrilled to be part of the Tips for Parkinson's DC effort and look forward to Team SheaKin for a Cure jumping right in behind the bar, too.